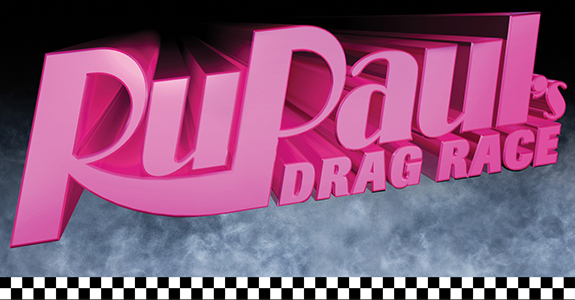 Who will win RuPaul’s Drag Race All-Stars? If you haven’t seen yesterday’s episode of RuPaul’s Drag Race All-Stars, STOP. STOP RIGHT NOW. You need to watch last night’s episode because this contains spoilers, and you need to see it to believe it. Are they gone? Good. Let’s get down to it then. So last night, in a shocking twist, RuPaul declared that no one would be sent home after Jujubee and Raven were forced to lip sync against each other. That’s right, we have a final FOUR for once! Yay! Not only that, but once again, Ru is going to base some of the decision on the fan votes from Twitter and Facebook. So who will win? Who will sashay away? Let’s look at the facts here, shall we? Why She Should Win: Based purely on statistics, Chad is the clear-cut winner: She and Shannel have won the most challenges, although based on the judges’ critiques, she’s been slightly edging her out in the competition. She also happens to be the most experienced, wisest, and polished out of all the queens, which really makes her the logical choice. Why She Shouldn’t Win: Chad has a tendency to play it a bit safe, and I think she might lack the unexpectedness to win. She needs to learn to roll the dice a little more, and until she ups her risk factor a bit, I don’t think she’ll be able to hit those high highs that she should be. RT if you think @ChadMichaels1 should be crowned queen of all queens on RuPaul's All Stars #DragRace! Why She Should Win: Shannel helped blaze the trail for RuPaul’s Drag Race. Every larger than life showgirl queen — even Chad — owes her one for coming first, even if she didn’t win the crown. Why She Shouldn’t Win: The ego. It needs to go. Look, I love Shannel, she’s got talent, she’s got looks, but her need to be the best has a habit of going to her head, and it results in a lack of focus that you can see in her performances and her looks. RT if you think @ShannelW should be crowned queen of all queens on RuPaul's All Stars #DragRace! Why She Should Win: Juju’s got the popularity down, and it’s easy to see why. She’s got a killer wit, and her non-sequitors rival even Tammie Brown’s. Juju is the kind of queen you can kiki with, and her genuine warmth and charm would make her a great representative of the drag community. Why She Shouldn’t Win: Juju is a much more personality-oriented queen than she is a look queen, and there have been times in the competition where her looks were a bit too simplistic. She’s kind of like the opposite of Chad: She takes a lot of risks that usually pay off, but she lacks the polish to make them land the way she wants them to. RT if you think @jujuboston should be crowned queen of all queens on RuPaul's All Stars #DragRace! Why She Should Win: Nobody does Femme Fatal the way Raven does. Her looks are fashion forward and avant-garde, and her sense of humor is razor sharp. She’s absolutely stunning in or out of drag, and she’s probably one of the most consistent and well-rounded queens on the show. Why She Shouldn’t Win: Raven’s look has a tendency to veer into cartoon territory, especially when it comes to her padding and her make-up. And as much as I love her bitchy humor, not everyone is going to be able to swallow that pill. RT if you think @ItsRavenHunty should be crowned queen of all queens on RuPaul's All Stars #DragRace! So who will win? No idea! It is way too close to call at this point, so remember to vote and vote often on Twitter and Facebook! Kevin Clash steps down as Elmo's puppeteer!